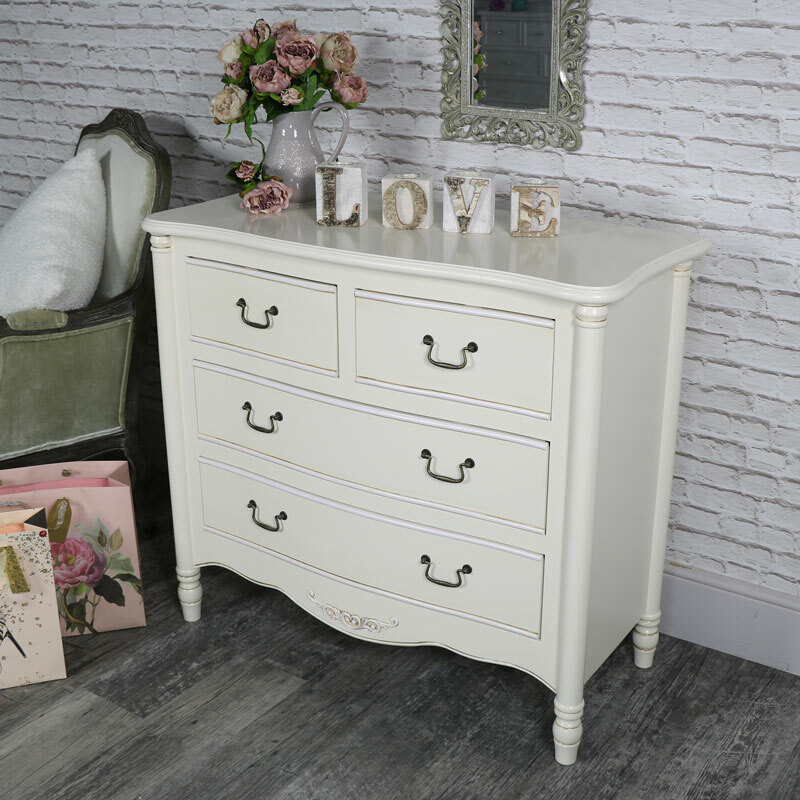 Large cream chest of drawers in a classic French inspired design. 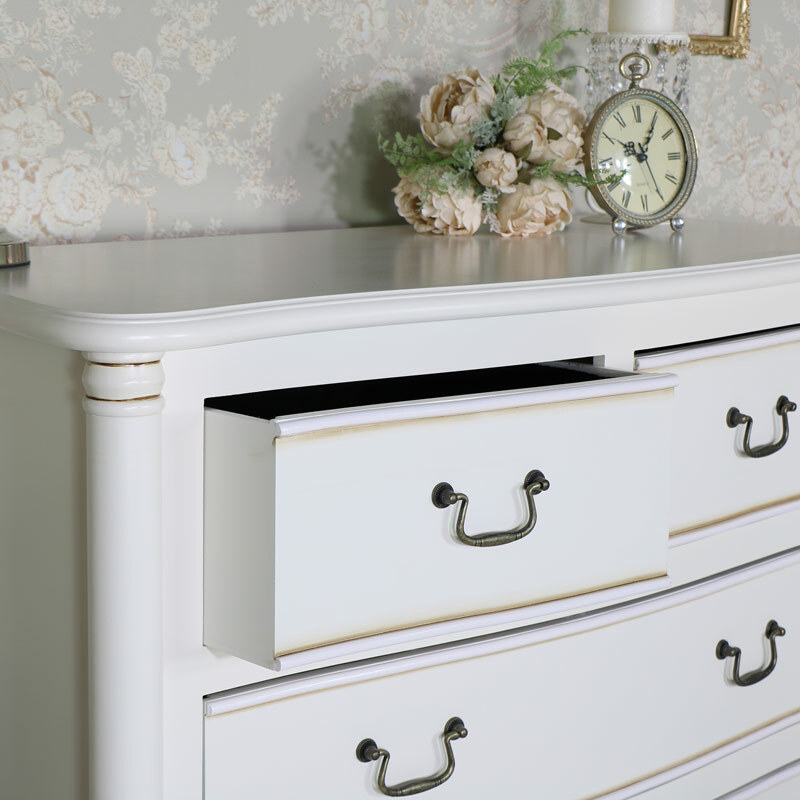 Fully assembled with matching bedroom furniture available, offering excellent clothing storage in vintage style. 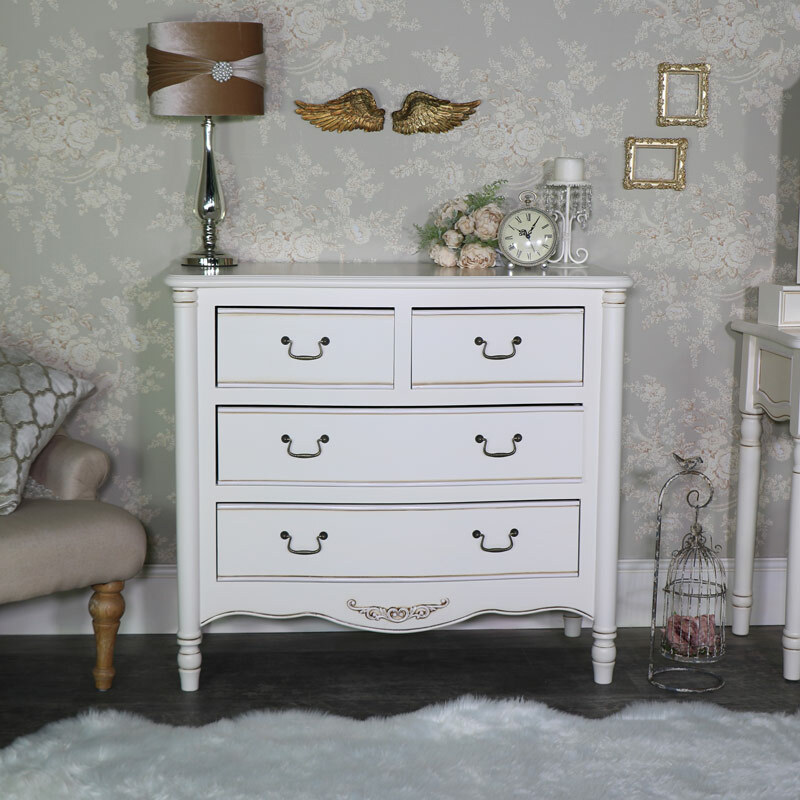 Vintage shabby chic inspiration with elegant carved detailing and antique style drawer handles that epitomises the elegant French feel. Offering super storage with 4 drawers in a 2 over 2 design. With more furniture in the Adelise Range that will allow you to create the perfect bedroom space. 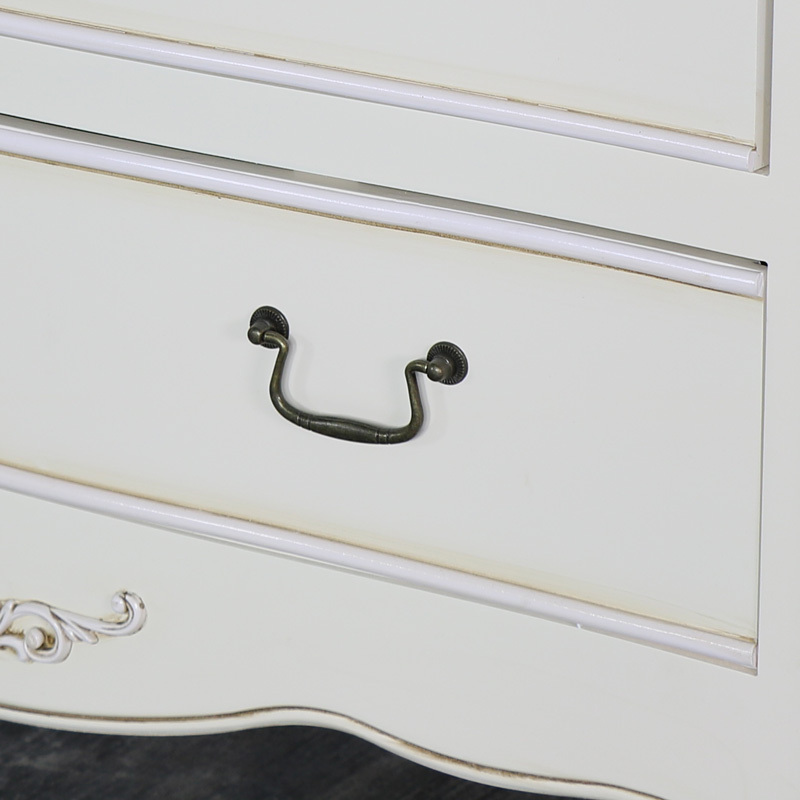 Large cream chest of drawers in a classic French inspired design. Fully assembled with matching bedroom furniture available, offering excellent clothing storage in vintage style. 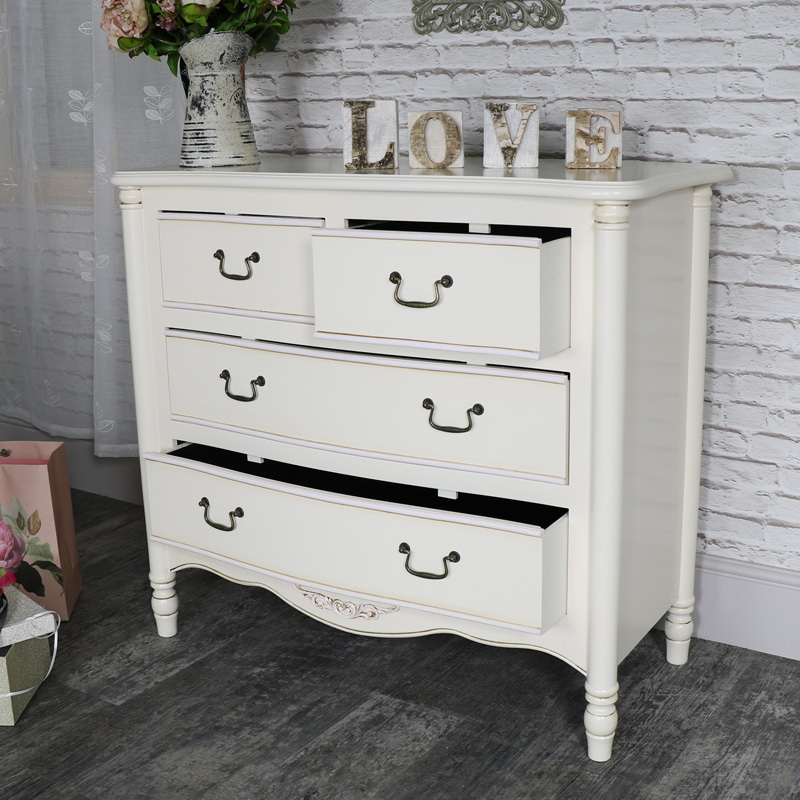 Vintage shabby chic inspiration with elegant carved detailing and antique style drawer handles that epitomises the elegant French feel. Offering super storage with 4 drawers in a 2 over 2 design. With more furniture in the Adelise Range that will allow you to create the perfect bedroom space. 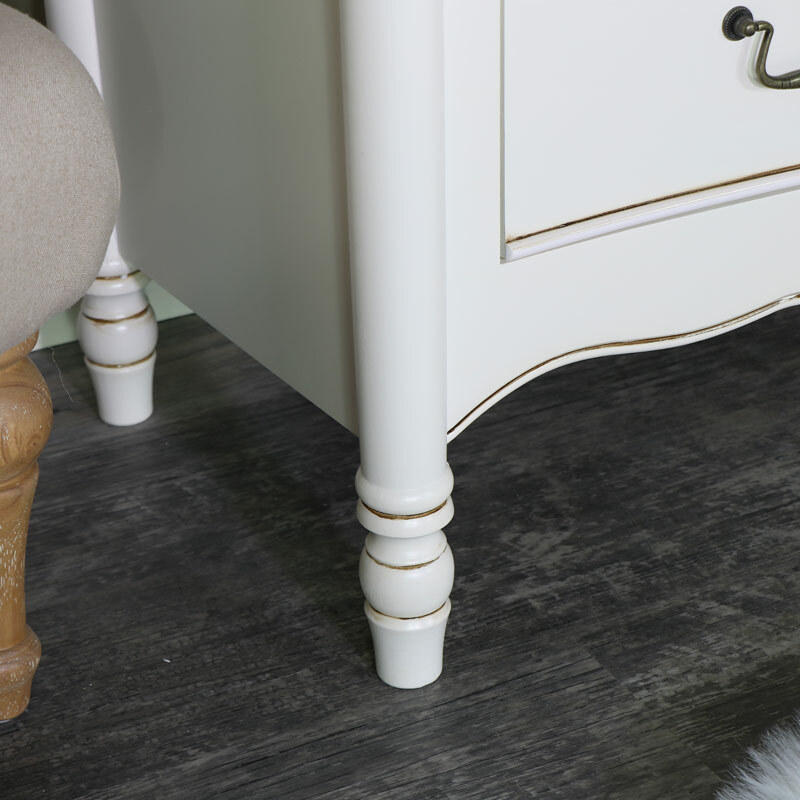 Made from wood and painted in a cream colour with antiqued finish to give the appearance of age and beauty. The chest of drawers come fully assembled.